World of Warcraft Gold Guide - How To Make Gold in WOW: Loot Hunters: Solo Farming Vault of Archavon + Competition! Loot Hunters: Solo Farming Vault of Archavon + Competition! Vault of Archavon has been visited in the past, but that time the gold making article focused on farming the Reins of the Grand Black War Mammoth. There will be a Loot Hunters post of every profitable instance, so this time we'll go through the instance in a more thorough manner. 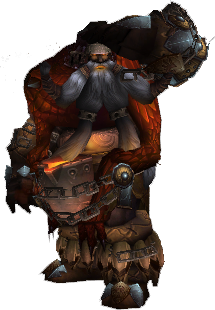 Vault of Archavon is one of those instances that will be hit by the huge nerfhammer in Mists of Pandaria. Thankfully there's more to be found here than the gold drops. Like all "PVP" instances, Vault of Archavon is also super fast. The instance is very small and there's almost no trash at all. This makes it a fun raid to clear once in a week. You can do this raid in 10 or 25 player difficulty. The latter provides a lot more rewards, but will be challenging for most people. 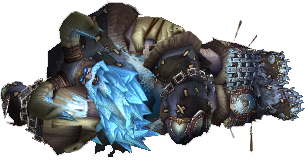 Take note though, that your faction must control Wintergrasp in Northrend before you can enter the raid instance. And because it's a raid instance, you need to be in a raid group to enter. To find out how, check the bottom of this gold making tip. You will have difficult time trying to solo this raid with any other class, unless your gear is godlike. This boss is the easiest of them, so you should start here. There are no dangers here, except the enrage timer. That should not be a problem though, as he has a little amount health points compared to most of the others. Koralon is a little bit more difficult. Other mechanics in the fight are easy, but Meteor Fists will give you trouble. Better to have some heals and cooldowns ready! 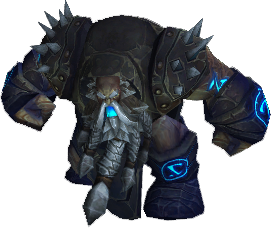 Koralon has a soft enrage timer, gaining 5% more damage every 20 seconds. Emalon is easier to solo than Koralon. There are no hard mechanics involved, tank and spank is enough. You should ignore the adds and focus on the boss. Emalon has a enrage timer of 6 minutes. He has a low amount of HP though, so if your damage is good enough, it shouldn't come to that. This boss is the hardest of them. 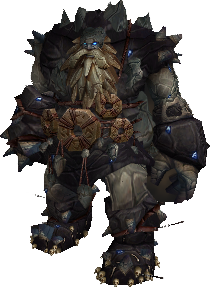 Some people even say he's harder than the Lich King! The main problem will be Frostbite. Thankfully there's ways around it. "You have to run away from Toravon, but the DoT does also slow! But it works, it is hard, but it works... Any very important is that you have to use Swiftness Potion when you are ready to reset the DoT a third time. After that, you have to reset it a last time, but that isn't really hard. You have to time your cooldowns correctly, or you will die. You have to run away from the Boss at the right time, or the DoT will refresh." Solo Koralon and Emalon at the same time! There's no trash farming this time. You will find loads of epics and lots of gold coins here. Make sure you have enchanting on your farmer toon. A single abyss crystal sells for 50g usually, but when shattered, it may be worth 100g instead. While it would be faster to invite some random player, I prefer this method as you don't need to rely on anybody else. If you play during odd hours, it might be impossible to find someone you could abuse or you might even get kicked out of the instance if the other user leaves the group and you get a dc. My forum username is Zimple. What boss did you try? At least archavon should be easily tackled by any healing class. The others can be harder!